By choosing a local Tulsa weed control company you are choosing to keep your money in your neighborhood and to build a stronger city financially. When you work with the big-name national companies are sending your money off across the country to some millionaire in one of his for houses on the beach. By choosing a local company like us you are choosing a company that cares about its clients, employees and community. Specifically with us our revenue goes back into our employees and community that will keep our economy in Tulsa strong. If you would like to partake in this give us a call at 918-640-6405. There have been a lot of people talking about keeping things local like buying your food locally to keep the money local and not support national companies that couldn’t care less about the people it hurts. Greenleaf is a local company that will treat you like a real person with a name and as we get to know each other more someone that has a story. We promise will not come to the door and asked if client 43287 is available to talk. You are all very important to us because you have taken the chance entrusting your business with us that we will take care of you. The best thing is that even if you take your business away from the national companies you will actually get a better product and better service from us. Will only send our turf enhanced and engineers to your door and there will be no one that knows more about your lawn than them. Each of them has a vast knowledge of different types of grass and different types of weeds and how best to take care of them. Each one of our turf enhancement engineers is certified by the Oklahoma Department of Agriculture. 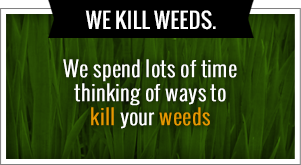 They are well-equipped with proper licenses to give you the best Tulsa weed control. When they come to door one other thing that you can be sure of is that they care about how you are treated in the results that we give you. Because we treat you like a person we are more invested in you as a client. The national companies usually don’t treat you very well and if they lose you they are care because of this get someone to take your place. Our goal is to never lose one of our clients because we did not work up to their standards. If you are willing to give us a chance to show you how a Tulsa weed control company can truly take care of you give us a call at 918-640-6405. We guarantee that you will receive the best customer care out there and he will be speaking to someone that has a vast knowledge to help you with your lawn. We know that you will very pleased with the results that we give you that you will be telling your friends and family about us. We are excited to have our family take care of yours. Are you ready to make the change to a Tulsa weed control company that actually gets rid of weeds? 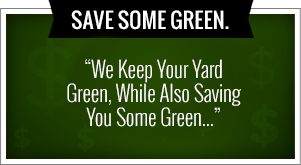 If so, you need to give us a call at 918-640-6405 and we at Greenleaf Lawn Care would love to help you. We talk with people all the time that say they are working with a Tulsa weed control company but they still have weeds. So our question to them is why not switch to a company that will actually get rid of all of your weeds and make your grass look amazingly green? The usual response is that they just thought they were able to get rid of all their weeds but when they find out that they can they are ready to switch to us. You can to by giving us a call. Do you ever drive by that house in your neighborhood that always has that perfectly green grass that looks like it’s almost not real? You won’t see any weeds at all poking up randomly throughout the yard. Your first thought is that they must pay an arm and leg to have their lawn look as nice is that. You’d be right unless they had Greenleaf Lawn Care and Tulsa weed control taking care of their yard. We can make your lawn to the exact you like that but the problem is we will not charge you a super high amount to do it. We believe that everybody should have the chance to have a yard that looks like that if you work with us you can. Can also take care of your shrubs and flower bed maintenance because having those pruned and cleaned can make or break the look of a house. That is not all we can do because we can also do your weekly lawn maintenance, leaf removal, sod installation, small tree removal and planting, small shrub removal and planting, spring cleanups and lawn scalping, grass fertilization and so much more. We actually have fertilization rates starting at only $35 per application which can get your grass looking amazing. Both of our owners, Jamie Nix and Josh Mathias grew up in the Tulsa area and are very passionate about making our city look amazing and also prosper financially. With that their goal has been to try and treat everybody’s lawn in a Tulsa area so it will improve the overall look of our city. They also put together a fund that gives local area schools parts of the profits we make on each new customer service. The person who is actually buying the service will get to choose what school system they would like to give their portion to. Both Josh and Jamie attended the Tulsa area schools and it means a lot them to help out the school system. They have both also settled down in the area and plan to be here a long time and have their kids attend the same schools. Josh and Jamie feel that the schools are not compensated enough to help out the students that attend it. This is just their way of being able to give the schools that shape them growing up. Most teachers spend quite a bit of money out of their own pockets to provide for their students and we hope that this money can help relieve some of that burden. Call us if you would like to you part of this.